Desigual IZAN shirt. $125.95. Spring-Summer 2018 collection for men. The Desigual Spring-Summer 2018 collection for men has arrived at Angel, along with the first shipment of Desigual for kids for 2018. Below are some of the new men’s line we’ve ordered for spring. Angel is having a clearance sale on the Desigual Fall-Winter 2017 collection — up to 50% off. Angel is the only Desigual boutique in Vancouver with the latest styles. We offer free shipping with purchases of $199 in Canada and the U.S. We ship worldwide. We also offer personal shopping by appointment. Call store owner Jackie Haliburton at (604) 681-0947. Desigual ZACHARY T-shirt. $85.95. SS2018. Desigual ZACHARY T-shirt, grey version. $85.95. Desigual STANLEY pants. $205.95. SS2018. Desigual SCOTT slim cotton jeans. $205.95. SS2018. Desigual SCOTT slim cotton jeans. $205.95. Desigual SCOTT cotton jeans. $205.95. Desigual IZAN shirt. $125.95. Spring-Summer 2018. Desigual IZAN shirt, detail. $125.95. Desigual MATTHEW shirt. $125.95. SS2018. Desigual JOAN shirt. $125.95. SS2018. Desiguak EKAI shirt. $125.95. SS2018. Desigual WILLIE shirt. $149.95. SS2018. Desigual ANDREW white shirt. $149.95. SS2018. Desigual NICHOLAS shirt. $125.95. Spring-Summer 2018 collection for men. Desigual NICHOLAS shirt. $125.95. SS2018. Desigual MI GENERATION hoodie. $205.95. SS2018. Desigual PASSION bomber jacket. $309.95. Spring-Summer 2018 collection for men. Desigual PASSION bomber jacket. $309.95. SS2018. Desigual PASSION bomber jacket. $309.95. Desigual NATIVE LOVE jacket. $269.95. SS2018. Desigual PATRICK cotton T-shirt for men. $99.95. SS2018. Desigual KRISTO shirt. $125.95. SS2018. Back of Desigual KRISTO shirt. $125.95. SS2018. Desigual GERALD cotton shirt. $125.95. SS2018. Desigual TERRY linen shirt, contrasting detail inside the cuffs. $165.95. SS2018. Desigual TERRY linen shirt. $165.95. SS2018. Desigual TERRY linen shirt, detail. $165.95. Desigual ISAMU striped polo cotton shirt in two different fabrics. $105.95. SS2018. Desigual ISAMU polo. $105.95. SS2018. Desigual NICHOLAS shirt, willow green. $125.95. SS2018. 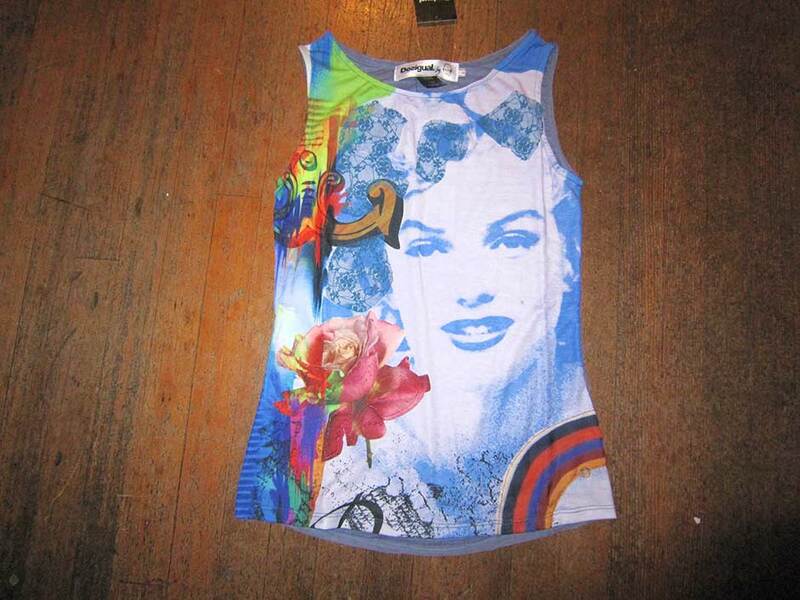 Desigual CLYDE cotton T-shirt. $85.95. SS2018. Desigual LESTER T-shirt with embroidery, showing detail. $99.95. SS2018. Desigual XESCO cotton T-shirt. $65.95. SS2018. Desigual ALBERTO T-shirt. $65.95. SS2018. Desigual PEP cotton T-shirt. $85.95. SS2018. Desigual DIGITAL CUSTOMISATION cotton T-shirt. $85.95. SS2018. Desigual DIGITAL CU T-shirt. $85.95. Desigual ANDREW jacket. Vegan leather. $269.95. Desigual BERTO T-shirt, orange version. $105.95. SS2018. Desigual JOHN cotton T-shirt. $85.95. SS2018. Desigual JOSE T-shirt. $99.95. SS2018. Desigual JOSE cotton T-shirt. $99.95. SS2018. Desigual ANDREW shirt. $149.95. SS2018. Desigual GERALD poplin shirt. $135.95. SS2018. Desigual THIERRY cotton bomber jacket. $309.95. SS2018. Desigual THIERRY bomber jacket. $307.95. Desigual THIERRY bomber jacket. $309.95. Desigual DENNIS shirt. $135.95. SS2018. Desigual GERARD shorts. $149.95. SS2018. Angel has the largest selection of Desigual on the west coast of Canada. We ship worldwide, with free shipping in Canada for purchases of $200. Call (604) 681-0947. The Desigual Fall-Winter 2017 collection is on sale @ 30% off, with up to 50% off Desigual from previous seasons. Angel specializes in custom handpainted clothing. Most of our kids shirts (below) are by Justine Brown of London, England. Today’s music is Problems by Vancouver hip-hop artist SonReal (real name Aaron Hoffman); you’ll recognize some GASTOWN people. This entry was posted in Desigual, Desigual for men and tagged Desigual Vancouver Canada, Gastown, La Vida es Chula (Life is Cool! ), Preview Desigual for men Spring-Summer 2018 in Vancouver Canada, We ship Desigual in Canada. Bookmark the permalink.